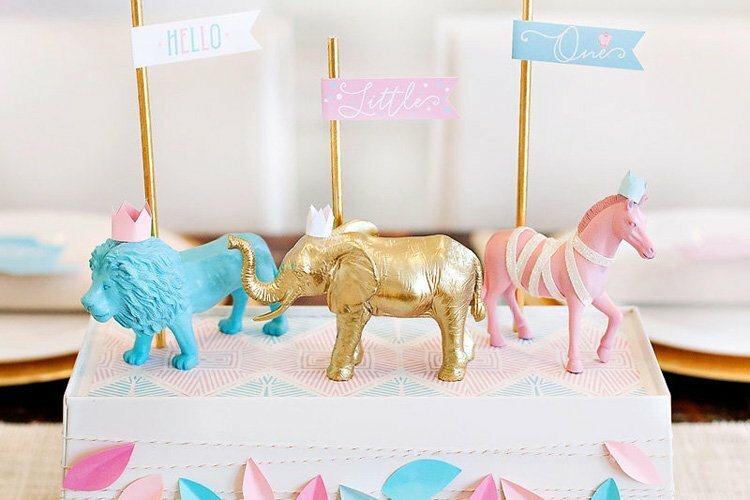 There’s nothing more exciting than planning a baby shower for a family member, especially when it’s for your own sister! 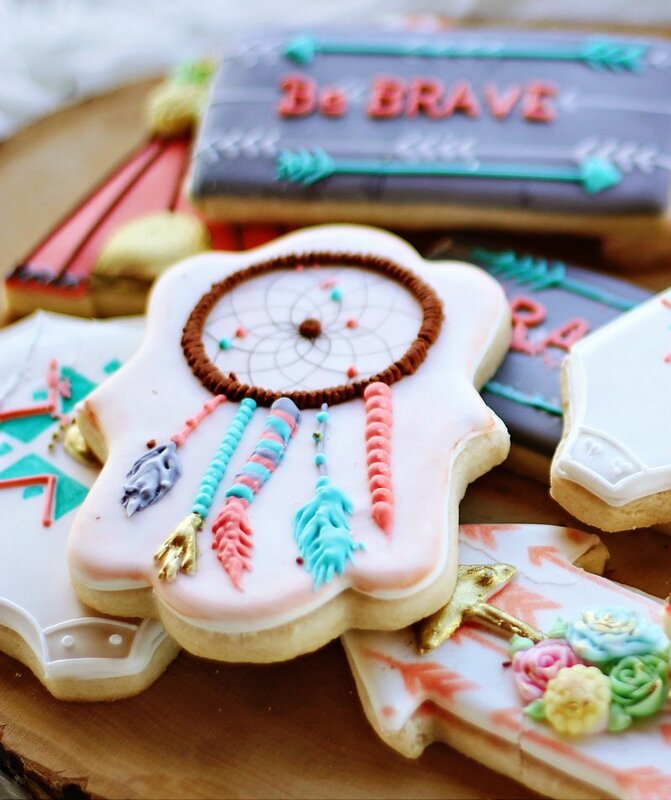 Jamie Forsythe of Sweet Jelly Parties designed a Dreamcatcher Inspired “Be Brave Little One” Baby Shower to celebrate Baby Graysen’s Native American family history and the theme of her nursery. 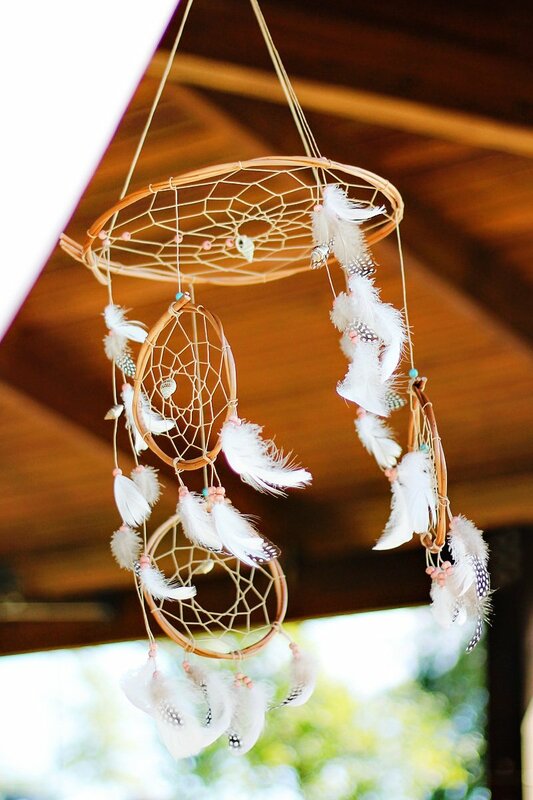 A creative dreamcatcher mobile from Hippie by Viki and custom tee pee – later added to the nursery! 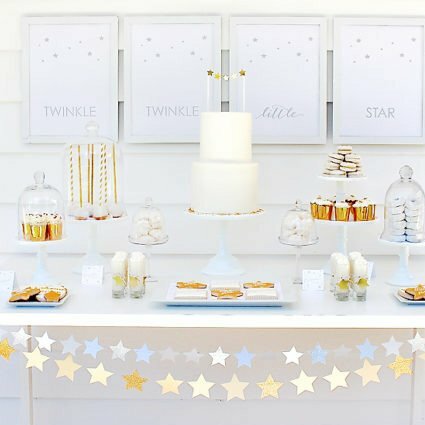 – are just a couple of the many *dreamy* details that pulled together this party in the park, planned from 8 states away! 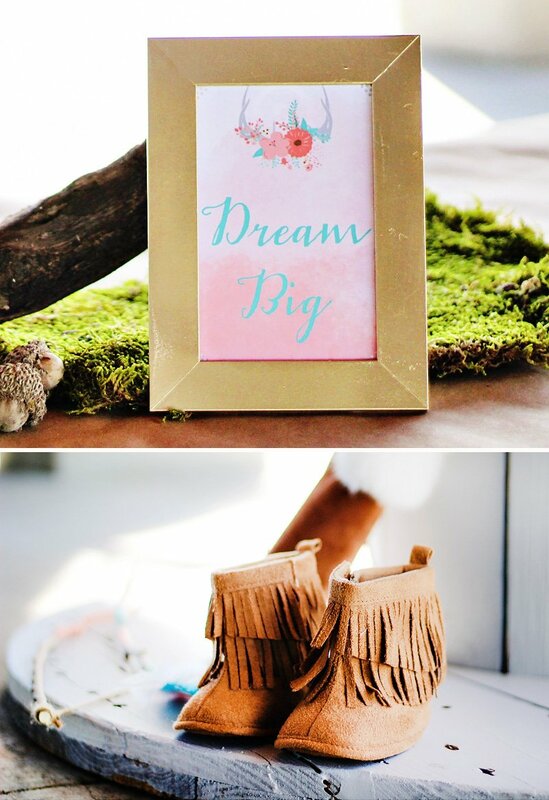 My heart was originally set on a different theme but when she told me she wanted to decorate the nursery to honor our Native American heritage I knew that would be the perfect way to go. 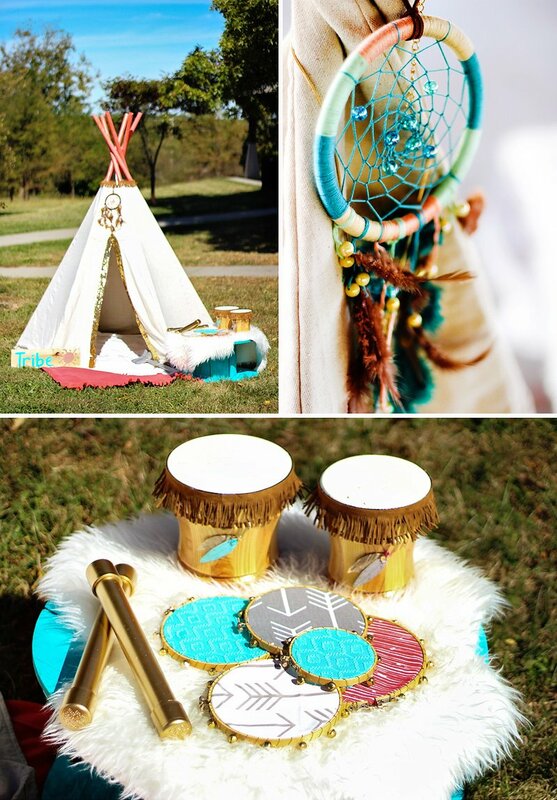 Tee pees and dream catchers with other tribal accents like arrows and feathers. 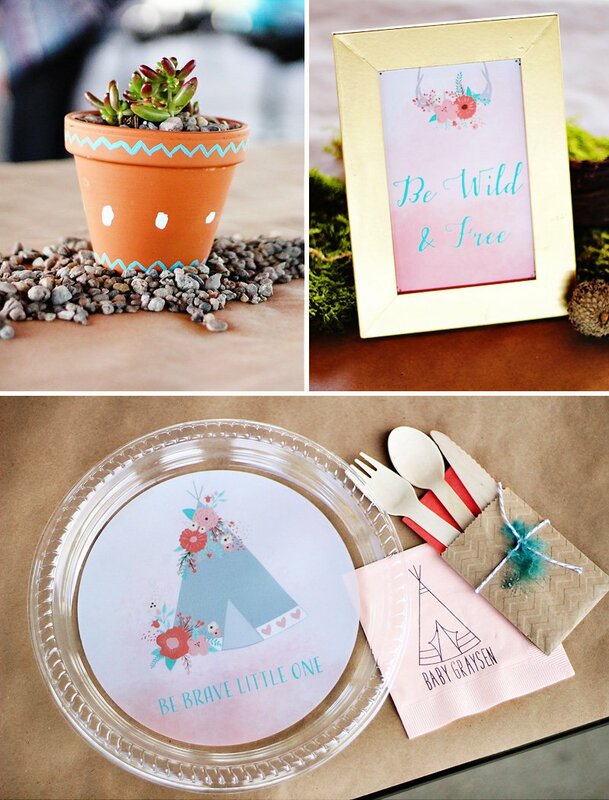 She picked her colors of coral, grey and turquoise. 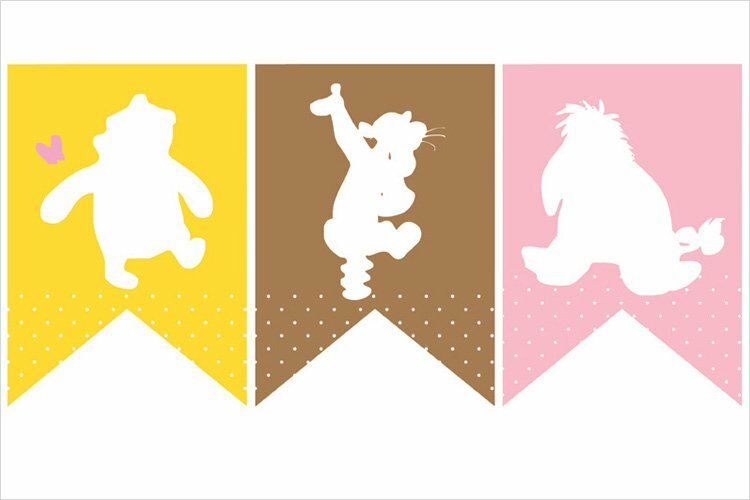 My first step was picking out an invitation. I found one I like on Tiny Prints. 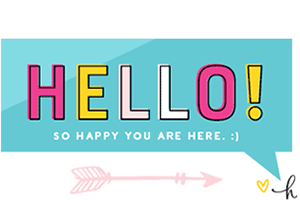 I wanted to personalize it a little more so I emailed with a designer and was able to make color changes, font changes and even added a decorative element to tie it in more with the theme. 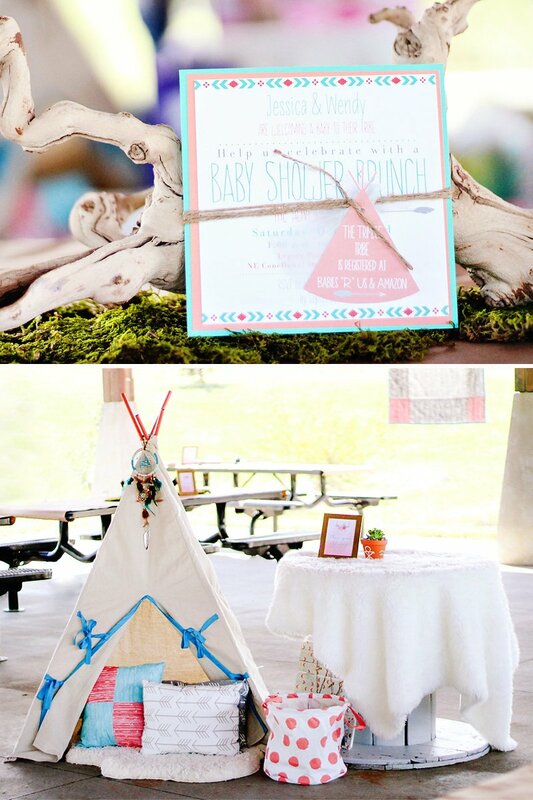 I added some coordinating card stock behind it and had “Just A Little Sparkle” design me a matching tee pee registry tag. Wrapped it up with some twine and a feather and it was perfect. I then designed all my other paper products around that. My sister enlisted our mother to make the baby bedding and a tee pee for the nursery. 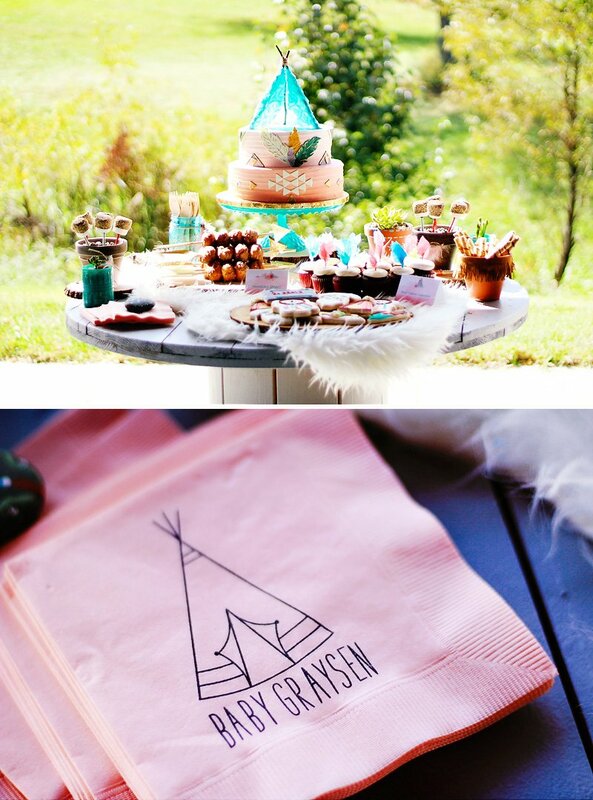 I used the tee pee at the actual shower next to the offering table. I had our mom make another larger tee pee which was set up next to a table of tambourines, drums & rain sticks for the kids to play music. 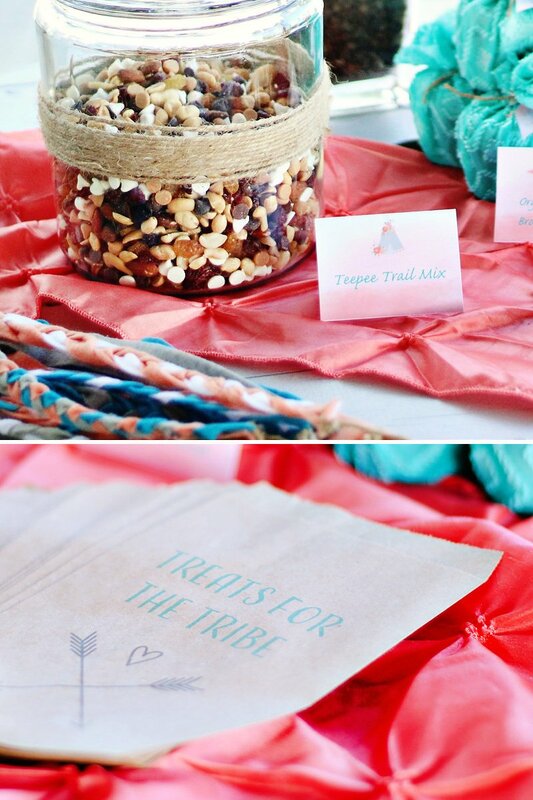 Favors were tee pee trail mix and organic coconut brown sugar body scrub. 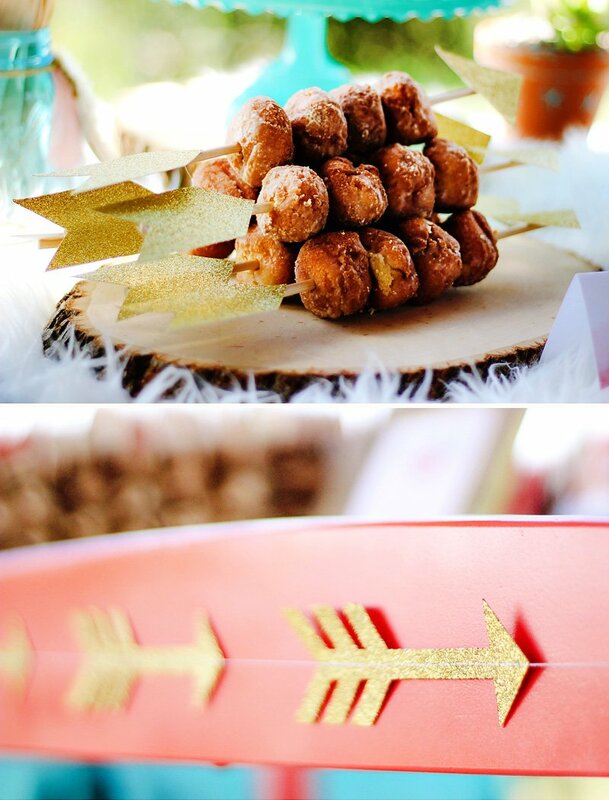 The dessert table featured doughnut hole hunting spears, beautiful cookies from Sweets By Gigi and a delicious cake from McLains Bakery. Above the table hung a dream catcher mobile that is now hanging above the babies crib. Upon entering guests filled out an advice for mommy card, wishes for baby and then took a selfie with my Polaroid camera and taped them all down onto a page in the guestbook. 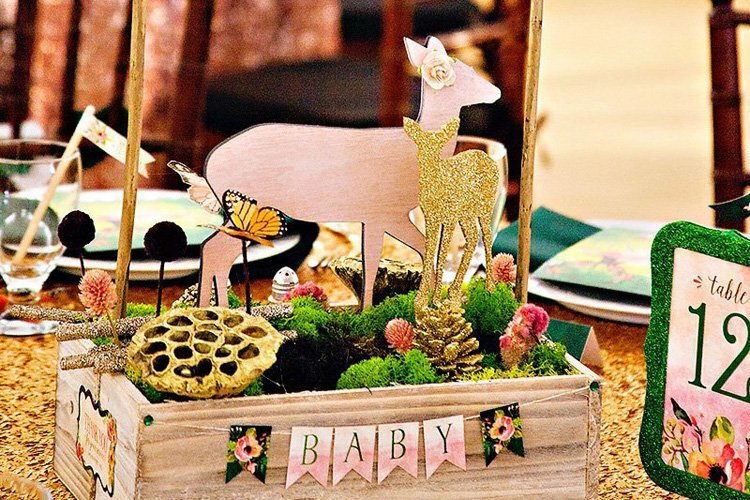 It was a beautiful shower featuring lots of natural elements and well thought out details. 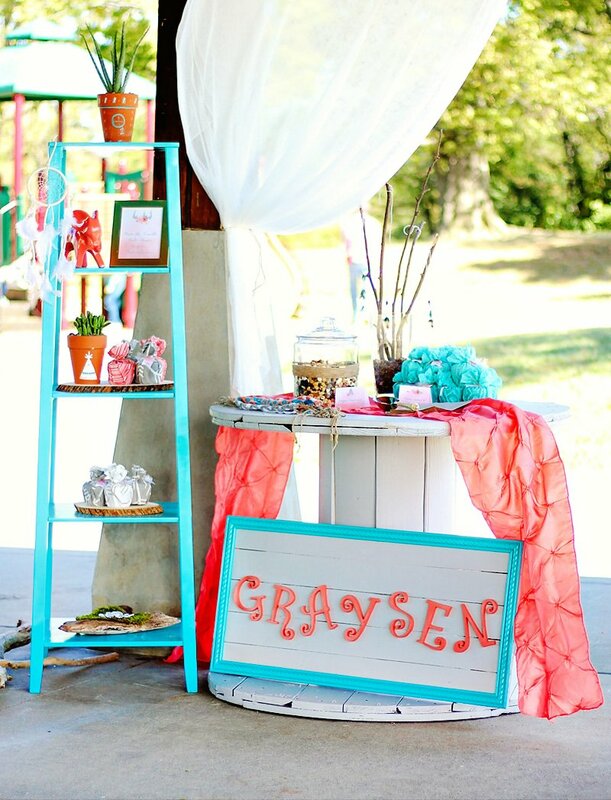 Can’t wait to meet Baby Graysen! 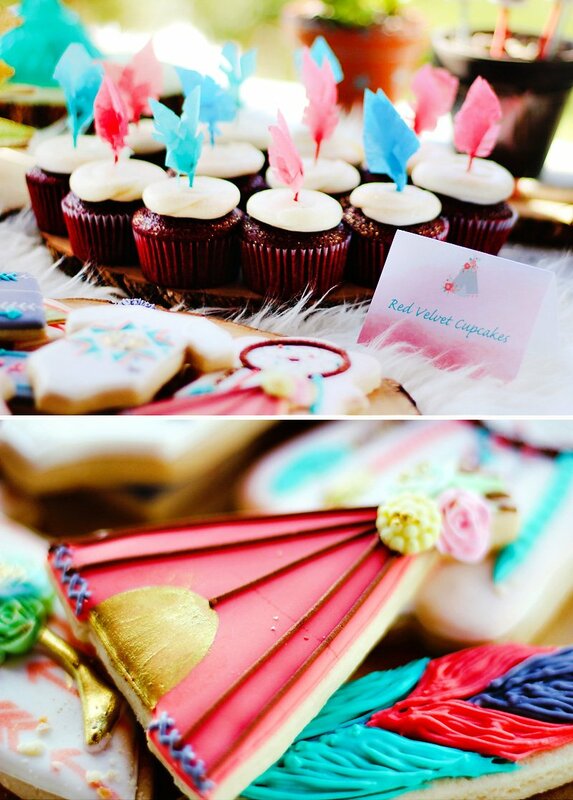 Love the wooden utensils. Where did the little pockets for the utensils come from. And is that a napkin behind the utensils? Hi Keya – I believe the “utensil pockets” are actually small favor bags. 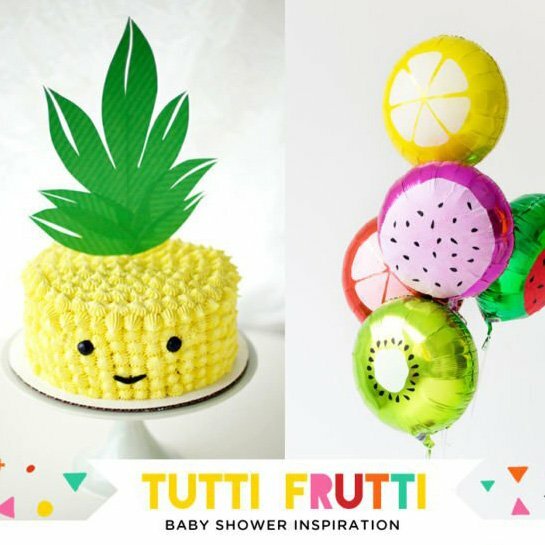 I’m not sure where Jamie purchased those exact ones, but you should be able to find something similar by searching “small chevron kraft bags” or something along those lines (or try contacting her directly). :) I do believe the red element is a folded napkin too. Hope that helps! Love! How were the clear plates done? 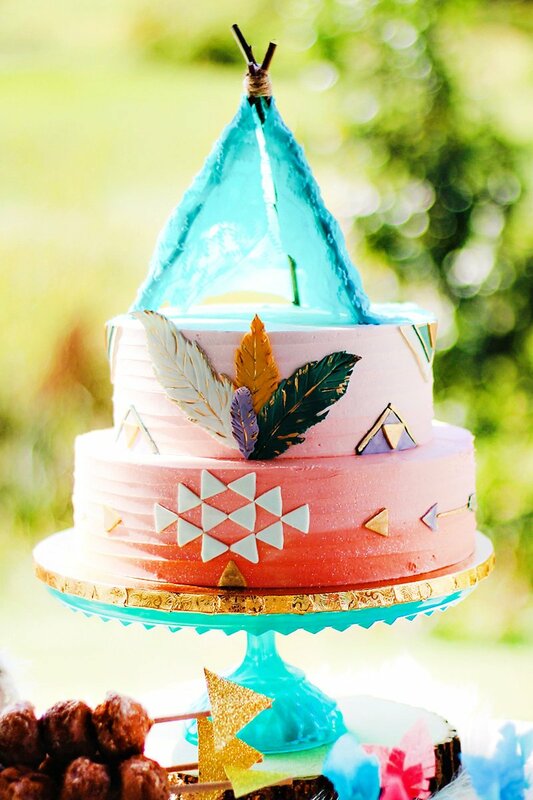 Just mod podge? 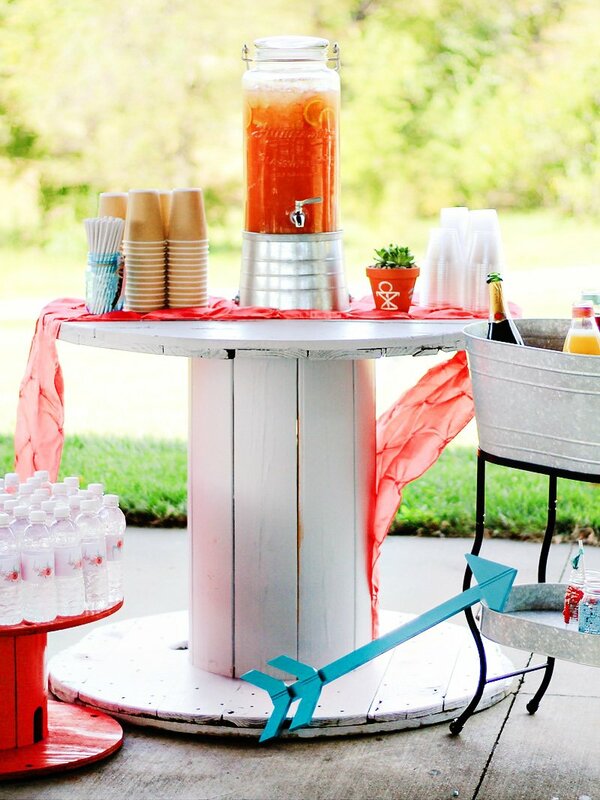 I just love these party ideas. 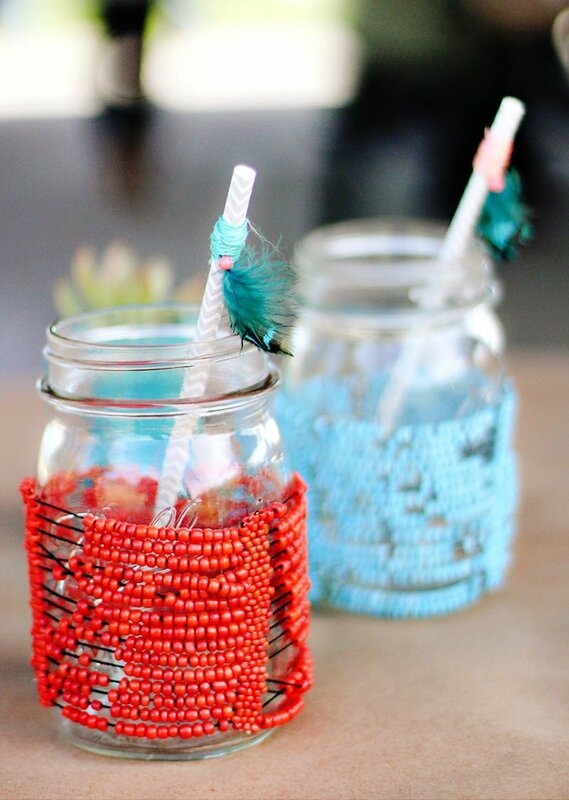 Like the vase / bottle decorating idea – it is so simple and beautiful. May I come to the next party?